Welcome back for another exciting week of ND United Legislative Update! 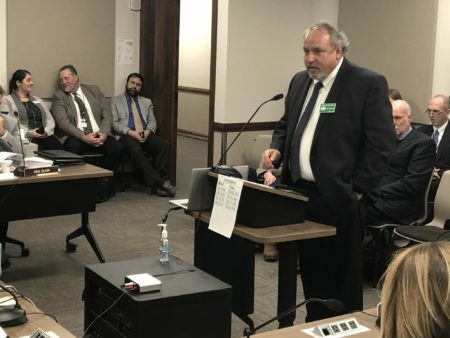 I am Kelly Hagen, your weekly scribe of what we’re seeing happening in the halls of the North Dakota Legislative Assembly, and how we see it affecting the personal and professional lives of you, our members in public education and public services. I’m just getting over a tangle with influenza that took down myself and 3/4 of my family, but my daughter and our family’s corgi got through it OK. So the news isn’t all bad. Cut me a little slack, though; my head still feels like it’s stuffed with cotton, and every joint hurts. And my internal organs feel like they’re on fire every time I cough, and I cough a lot. So that’s where I’m at. Let’s talk about the Legislature, shall we? During the previous session of the Legislature, it was decided that state workers and higher education faculty and staff should probably go without any pay increases for that biennium, in the name of saving money. And legislators have seen the increased amount of workers leaving their professions and even the state entirely, in pursuit of jobs where their pay actually keeps pace with the cost of living. So there’s increased chatter from both sides of the aisle to finally increase state employee pay this session, so that we can slow down on all the farewell cakes we have to buy state workers as they exit the field so all of the time. SB 2128 is a bill that would increase state worker pay by $300 per month in the first year of the coming biennium (in other words, $3,600 per year) and then a 3 percent raise in the second year. Additionally, this bill would shield public workers from having to pay increased costs for their health insurance, which would negate any gains made in their pay. SB 2128 was heard by the Senate Appropriations Committee on Jan. 22. We will keep you posted on further action. NDU President Nick Archuleta testified in support of SB 2217 while asking to change committee makeup to include teachers/paras. Similarly, we saw a lot of promise in another bill that was heard in committee this past week by the Senate, SB 2217. This bill would provide teacher incentives for leadership in education (TILE). Pay is not merit-based, but would be in exchange for work they do above and beyond, particularly in the arena of innovative education practices. It makes a lot of sense to our members in ND United that we should be working together to advance practices in education, and that those educators who are coaching their colleagues on trying new things should also be compensated for their additional time and effort. SB 2217 was heard by the Senate Education Committee on Jan. 22. Stay tuned to our NDU Twitter account for the latest updates on this and all the bills we’re following. President Nick Archuleta urges a do pass for SB 2215, which creates an education coordination council. While we’re on the subject of working together to advance education in our state, seems like a good time to talk about SB 2215. 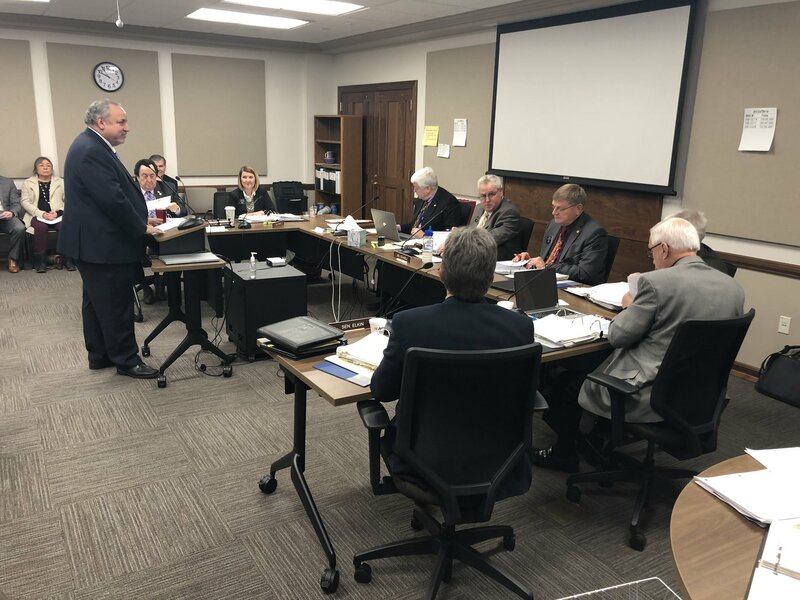 This bill would establish a K-12 Education Coordination Council, which would take all of the education stakeholder groups — ND Department of Career and Technical Education (CTE), Center for Distance Education, etc. — and coordinates their activities so that they are pulling to the same common goals. Great idea, right? SB 2215 was heard by the Senate Education Committee on Jan. 23. We’ll let you know what happens with it. Hey! Let’s talk pensions some more! For those who remember last week’s update, you know that the N.D. House is considering a plan that would inject $20 million into the NDPERS defined-benefit retirement plan for state workers annually, with a goal of shutting down the defined-benefit plan for future hires and replacing it with a defined-contribution plan. It’s crummy, of course, but after hearing testimony in committee from NDPERS Executive Director Scott Miller, we found out just how crummy it truly is. The PERS system is currently projected to become insolvent in the year 2106. Under this bill, the main system is projected to become insolvent sometime between 2048 and 2052, so it speeds up that timetable by 58 years! All at the low, low cost of $20 million every year, into an ill-defined point in the future, we can decrease a benefit for state workers! 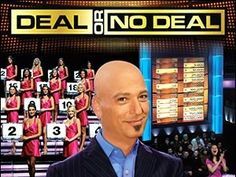 Don’t take that deal, Howie! “The idea that you can close down a defined benefit plan overnight and have no more liabilities is ridiculous,” said President Archuleta. “In fact, the federal government froze their defined benefit plan 25 years ago, and they still have massive amounts that are unfunded. And every place that they’ve tried this, whether it was West Virginia, Alaska or Texas, they’ve gone back to the defined benefit plan that they had. Because, quite frankly, it was cheaper to operate, you have more input, and you have early-career, mid-career, late-career people contributing to it and that just adds to the solvency. Stay tuned for more news on this bill, but probably don’t bet on it having much of a future. Every week, we’d like to ask all of you to help ND United to make our voices heard on an important issue. Last week, we asked for your help on HB 1347 and you have responded en masse! Just short of 250 letters have been sent through our Action Network tool directly to all of the members of the House Education Committee so far. We have heard anecdotally from the committee members that they are hearing our voices loud and clear, but that does not mean it’s time to go quiet! The committee is scheduled to hear HB 1347 tomorrow, Jan. 29, and we still have time to let them know how we feel about this action. As a reminder, this bill would extend probationary periods for beginning teachers from one year to three years and would remove the right of teachers to have representation and a face-to-face meeting with school board members when they are being let go. Here’s the action: Tell the House Education Committee that this is a bad idea for education! Go to https://actionnetwork.org/letters/teachers-need-our-trust-support-no-to-hb-1347 and fill out the form to send an e-mail to all the members of the committee. Your perspective and knowledge on what it is like as a teacher, new to your district, will help our legislators understand the issue better and ultimately vote this bill down. Additionally, we are also asking for your assistance on a trio of bills that would allow guns to be brought onto school grounds and onto into public gatherings. As educators and public employees, we are dedicated to providing high quality education and public service and expect safe working conditions for ourselves, our students, and our fellow North Dakotans. Our members have consistently told us in poll after poll that they oppose guns in schools and public places. HB 1310, 1325, and 1332 would proliferate the existence of guns in our schools and our public places and will threaten safety. If you’re interested in helping us to share our perspective on guns in schools and public places, go to https://actionnetwork.org/letters/keep-our-schools-public-gatherings-safe to send a message to all the members of the House Energy & Natural Resources Committee. Alright, let’s do this! Quick and easy! I’m already way over my word-count limit! HB 1414 — “Relating to the amount of time for a teacher to accept or reject a contract.” In the last session, legislators decided to reduce the amount of time that teachers had to accept or reject contract offers from 30 days to 14. Now they want to increase it back to 30. Our take? Yeah, let’s do that. Support. HB 1321 — “Relating to an income tax credit for taxpayers whose children receive nonpublic school or home education; and to provide an effective date.” IT’S A VOUCHER BILL. Public funds should go to public schools, the end. Oppose. HB 1057 — “To provide a statement of legislative intent regarding state employee compensation adjustments.” This bill would increase state employee compensation by $300 per month, or $3,600 in the first year, the same amount as SB 2128, which we discussed in some detail at the beginning of this here e-mail. However, in the second year, the percentage-based raise would be given out based on merit. State workers desperately deserve a raise. Support. SCR 4004 — “To consider studying the impact of violent, disruptive, and inappropriate behavior within the educational environment perpetrated by students against other students, teachers, and other school personnel, and the need to implement a uniform reporting system.” Good news! This bill was adopted on voice vote by the Senate on Jan. 23. It now goes to the House. Support. 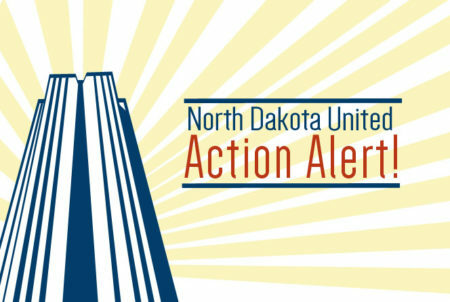 HB 1228 — “To create and enact a new section to chapter 15.1-09 of the North Dakota Century Code, relating to local control of education.” This bill was meant to giving school districts sole control over “the supervision, development and instruction of kindergarten through grade twelve students including course content standards, required instruction, instructional time, assessments, attendance, and graduation requirement for students residing in the district …” as well as “the negotiating, employment, termination, licensing, and credentialing of teachers and ancillary staff.” We are referring to it in the past tense because it failed on floor vote in the House on Jan. 24, by a vote of 38-54, after receiving a 12-2 “do not pass” recommendation in committee. Oppose. Again, that was a whole lot in another week of a session that is seeing so very many bills happening. 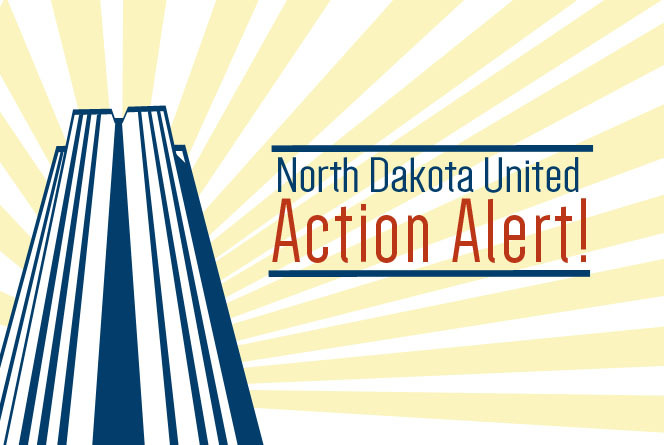 If you have any helpful tips about how we track legislation and communicate it out to you, let me know at kelly.hagen@ndunited.org, and I’ll bring it up with our team. Additionally, if you have any questions, comments, tips, recipes for hotdish, let me know via e-mail, or call our office any time at (701)223-0450. Thank you, and I’ll see you back here again next week!